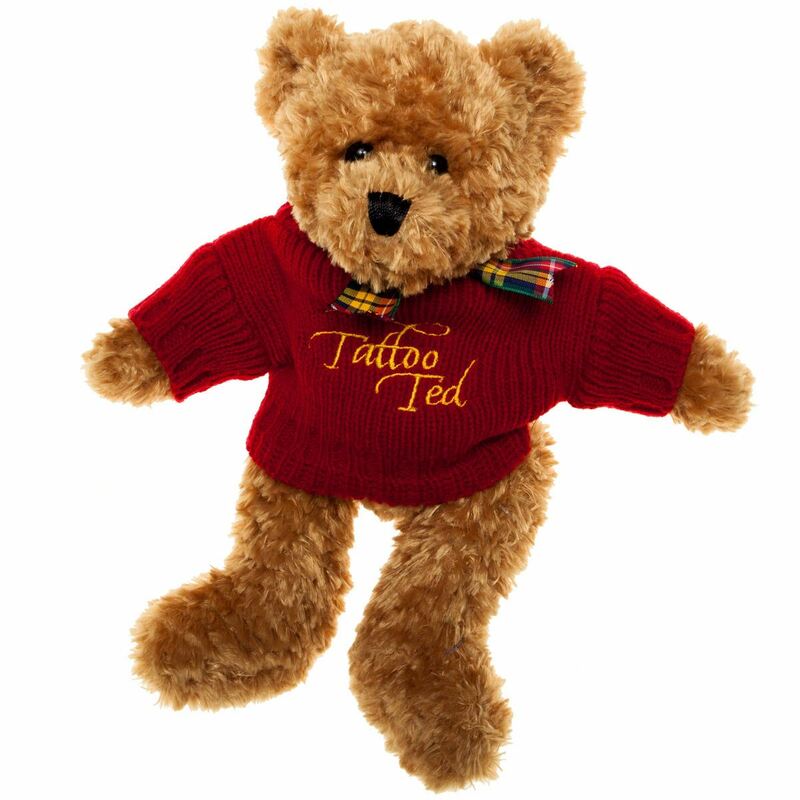 The Tattoo's loveable, official Mascot Bear. 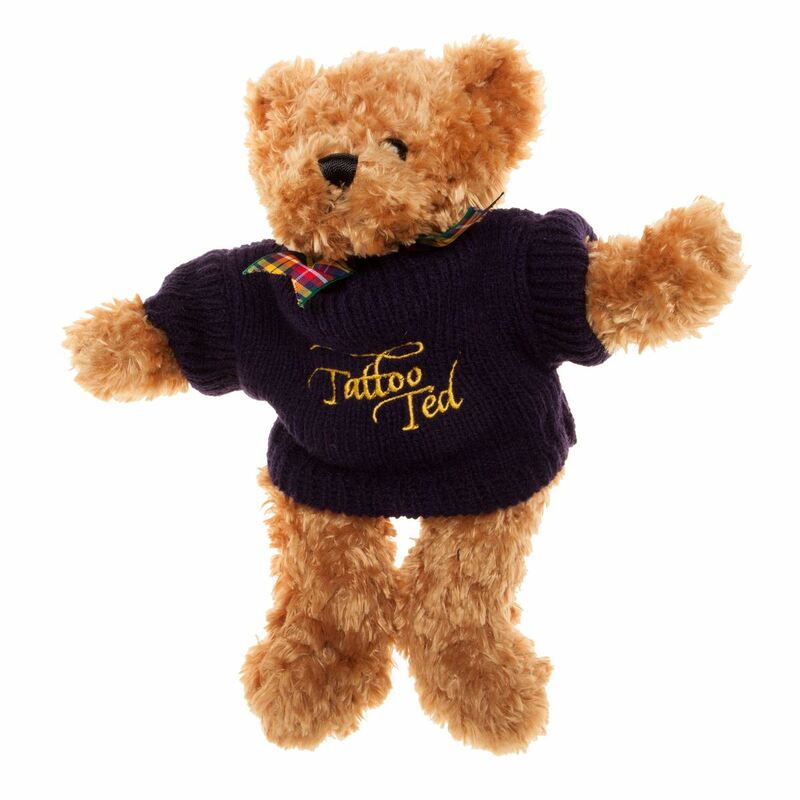 Adorable in a colourful jumper - choose from Red, Royal Blue, Navy Blue or Green - or all dressed up for his visit to the Tattoo complete with kilt, dress jacket and a sporran to keep his pennies in! Approx. 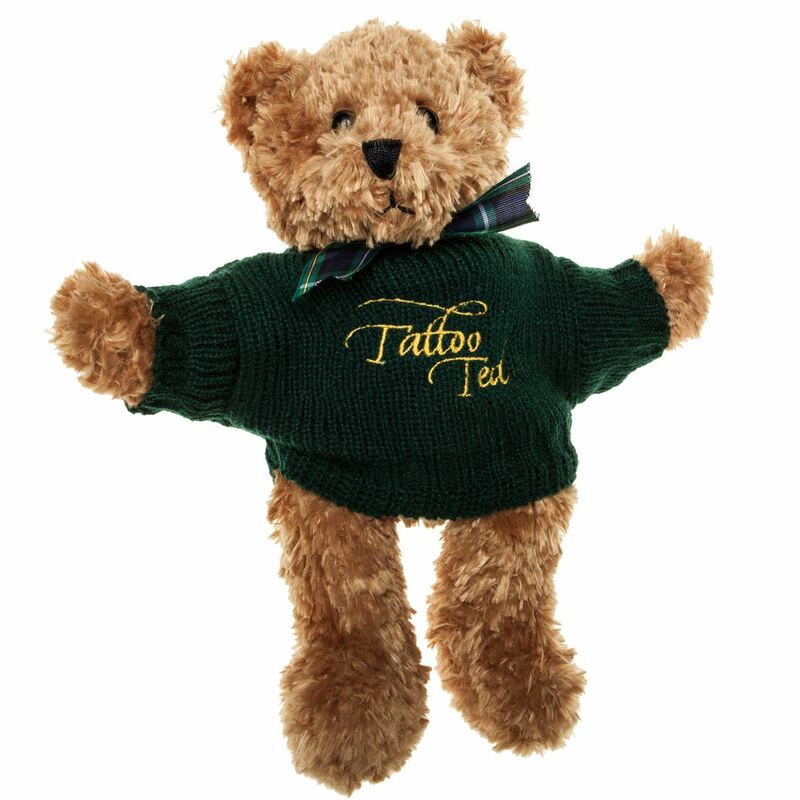 19cm seated; Approx. 28cm lying flat. Complies to BS5665 and the European Community Safety Standard EN71.